I can't believe October is over already, but I'm really excited to share our last cosplay interview with you guys! It has been a lot of fun to be able to find out the why's and how's behind these artist's beautiful work. I hope that I've shown you what a diverse and creative culture surrounds cosplay, and all of the hard work that goes into those amazing outfits! 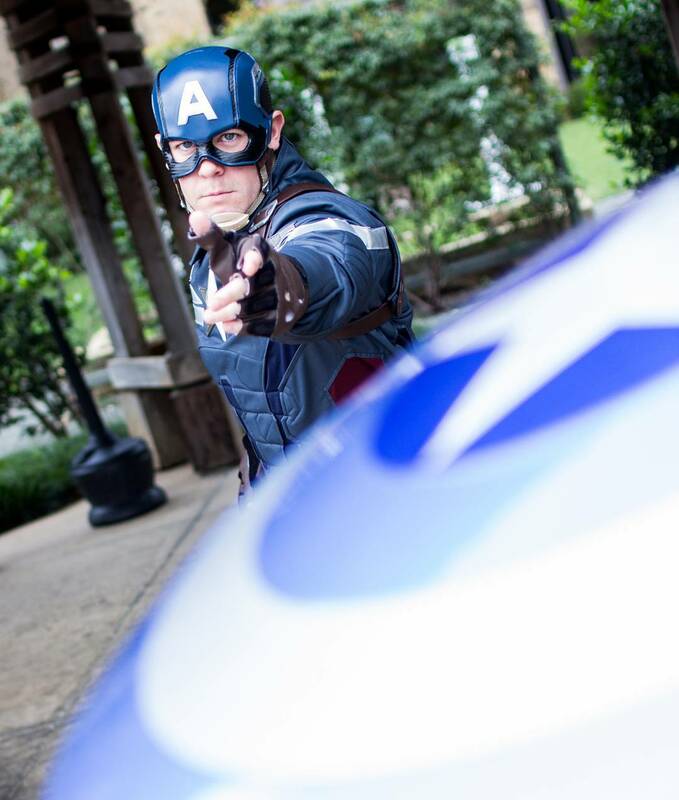 Our last cosplayer is Cajun Captain Cosplay. Enjoy! 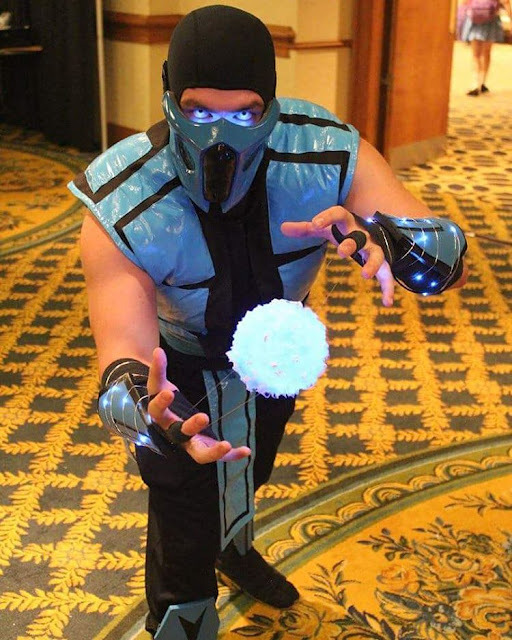 I first got into cosplay when I went to my first anime convention in New Orleans, Mechacon, in 2014. That was my first convention I had ever been to and I didn’t have a costume. I didn’t really know much about it but seeing all of my friends and attendees in these awesome costumes made me feel left out! 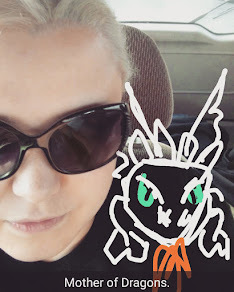 So I decided that the next event I went to I would definitely cosplay. And now I’ve been cosplaying for almost 3 years and have amassed 7 different cosplays! Who was the first character you wanted to cosplay? The first cosplay I ever wanted to cosplay, and actually did, was Simon from the anime, Gurren Lagann! My friend and I decided to do two characters who were essentially brothers in the show! It happened to be his first cosplay too! I bought some pieces and modified and made other parts! It was also the first time I ever attempted to style a wig! And at the same time I debuted my other cosplay at the same con, Amon from Avatar Legend of Korra! If you could cosplay any character from anything, who/what would you choose? I think my dream cosplay that I have been on and off again for the past year due to time, skills and money, would be the Tier Two Paladin Judgement Armor from the game World of Warcraft! It takes a lot of sewing, armor making, and a huge sword! I still want to do it one day, but for now it’s back on the shelf! Do you ever put your own spin on a cosplay, or do you like to make sure it's as close to the original as possible? I try to be as accurate and close to the source material I can be! However, this sometimes causes problems because many characters act in a fictional world with fictional movements and that doesn’t always translate well to real life physics! Some costumes need to be modified to be able to be more mobile while keeping the same design and style of the original! Other times you have to sacrifice mobility for it to look as accurate as possible! Whats the most uncomfortable outfit you've every worn? Do you have any tips on how to stay cool when you're wearing so many layers? Well, living in South Louisiana, one of the things you have to put up with is the heat, humidity and sweating! 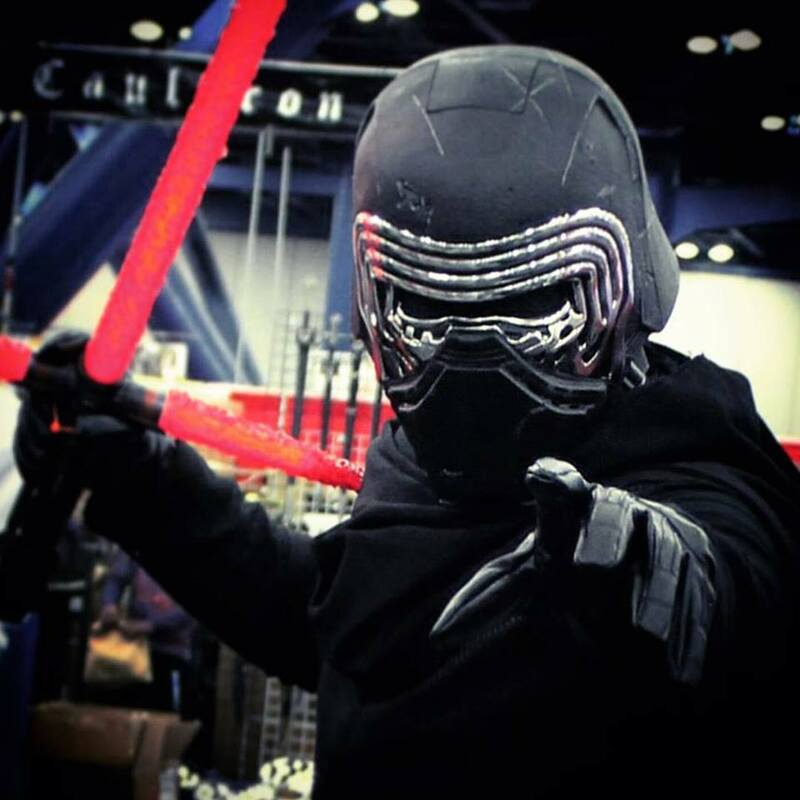 The two cosplays with the most layers are Kylo Ren and Captain America! They are both thick, heavy fabric, have helmets, and props to hold so you start to sweat almost immediately! The only thing I can say is drink plenty of fluids and rest when you can! Some cosplayers build in PC fans to help with ventilation inside of their costumes, though I’ve never been able to use one! What is your process for putting together an outfit? My process starts by choosing a character I want to do. I look up images and research them. The more pictures and angles I have, the better! I then go to sketch out what I want it to look like and how I want my version to be! Sometimes it’s like the original, sometimes I will modify to my own liking! I then write down everything I would need or think I need and start planning what pieces I can make and might need to get commissioned or help with (I cannot sew, but have many friends who can). I then start to acquire the parts and pieces and make the armor, or wire some LEDs, or paint and adjust pieces. I try to start putting it all together and do final fitting tests and finally wear it to a convention! Many times I still will adjust and change parts last minute too! What's your go to place for supplies/components? I love to shop around online and locally. Hobby Lobby and Amazon are my top two choices as they have almost everything from paint, makeup, LEDs, Velcro and more! Sometimes I will also just Google up what I am looking for if I can’t think of what I need and look through the images and try to find ways to use what I find for what I need! 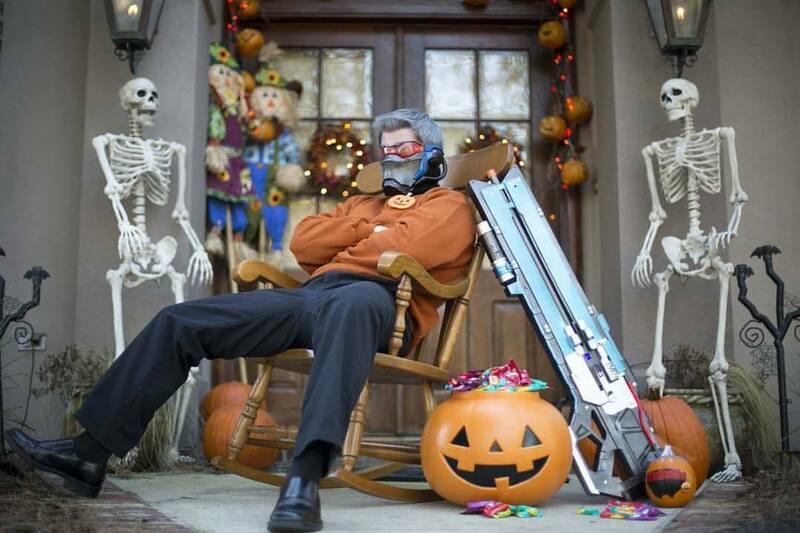 One example is the rifle shells I used for Soldier 76. I walked through Hobby Lobby and found some wooden spools and dowels and foam and figured I could make them from those few things! 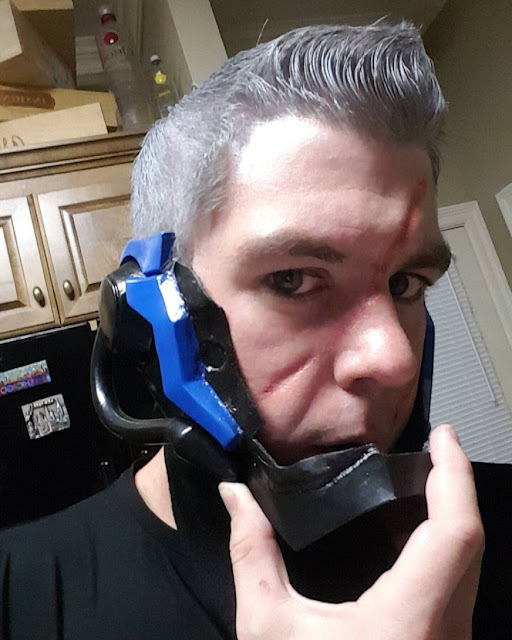 The scar for your Soldier 76 is pretty realistic. How much time does it take you to get ready for that specific outfit? The scar is definitely my favorite part of that costume! Everyone loves it and I always get asked about it! I am no expert in makeup but I looked up a few tutorials online about scar making and the theater makeup, rigid collodion which is how you get the indent effect! Soldier is actually one of the easier costumes to put on, its just the hair and makeup that take the most time! I clean up, style my hair with the silver wax, do my makeup and then get dressed! So all in all, it takes about 45 minutes. They say the devil is in the details... do you pay attention to the little things? I always try to remember the little things! It’s what makes your cosplay from good to great, in my opinion! Many people have great cosplays and costumes, but I always try to set myself apart by adding small details! 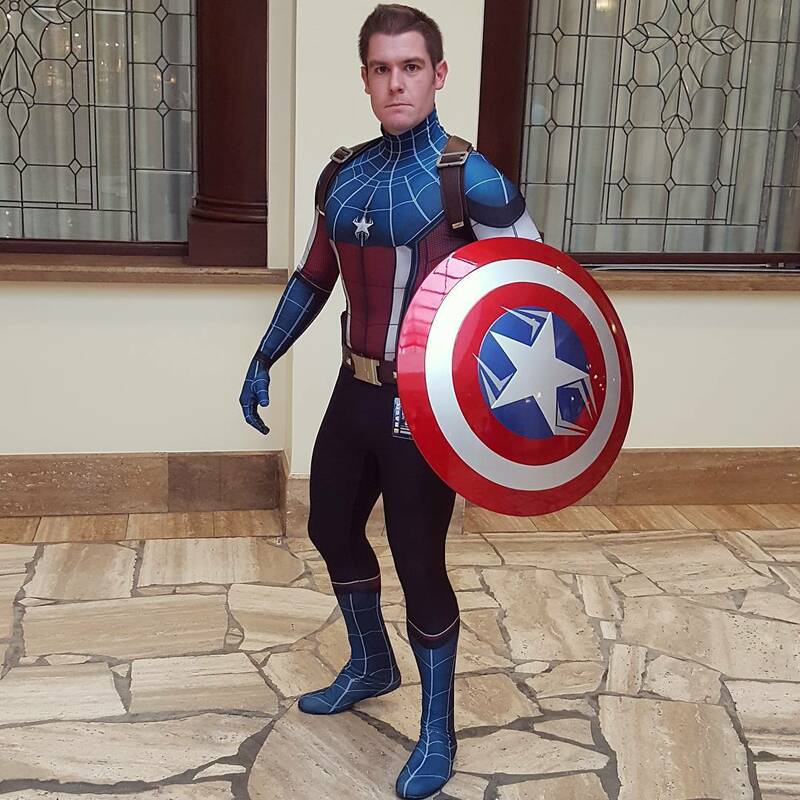 One example is my Captain America cosplay. The shield is able to be hung on my back via a strong rare earth magnet, so I can attach and detach it to my harness just like in the movie! It’s the little things that set you apart! They don’t have to be complex, just unique and creative! 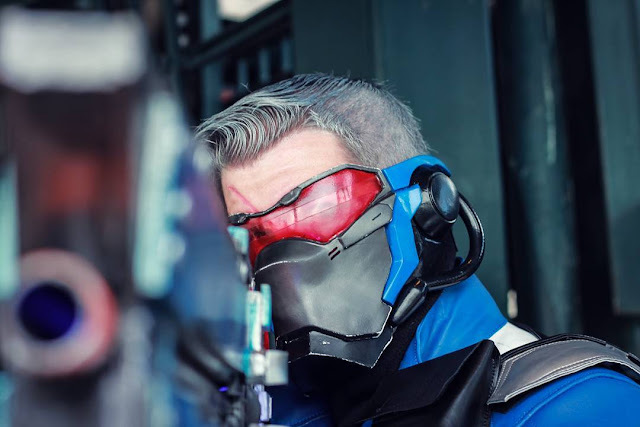 Do you have any tips for someone looking to get into cosplaying? My advice would be to do it! So many people feel they don’t have the skills or time or money to cosplay, but cosplay is so much more than that! It does not matter if you make everything, buy everything, or a combination of both. It does not matter if you look like the character or not. Your costume does not have to be huge and complex, but it can be simple as pants, a shirt and a pair of glasses, if that is the character you choose to be! At the end of the day we are all just people dressing up in costumes and having fun! 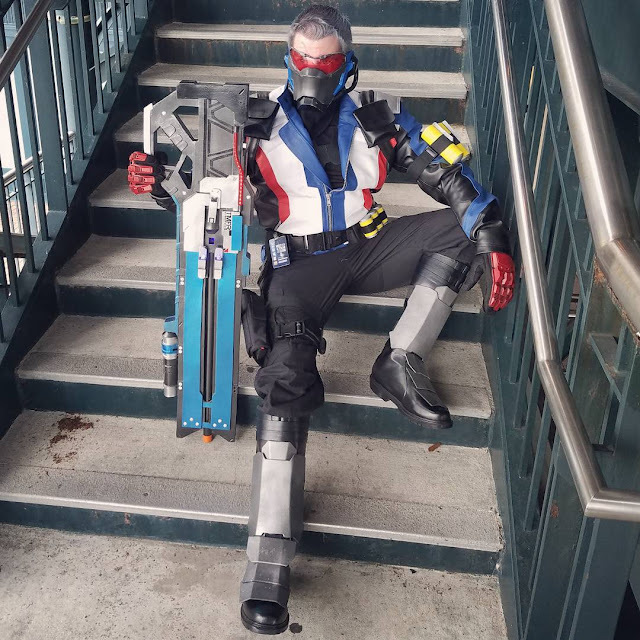 I would say to anyone thinking about getting into cosplay, go to a local convention first and enjoy yourself like I did! Then come home with all of your pictures you took with all of the awesome cosplayers and start working on your costume for the next time! And just remember to HAVE FUN!